Stop the car Honey - this one checks all the boxes...4 bedroom; screened pool, centrally located, wooded view, split floorplan, updated & move in ready! Come take a look before it's gone! Lots of wood & tile throughout! Great floorplan for entertaining & foyer splits formal living (could be an office) & formal dining rooms. Kitchen overlooks family room w/nice view of sparking pool! Covered area with plenty of room for patio furniture, still have grassy area for kids & family pooch! Nice and private with wooded view & yard is fenced. Granite counters & bar top, kitchen is fully equipped & has space for table. Pass thru to dining room which works great for family gatherings! Master retreat has been bumped out w/extra room for sitting area. See Supplement for more info. Master also has en suite bath w/separate vanities, garden tub, walk-in shower and walk in closets. Indoor laundry area, termite bond, one yr home service warranty $540 w/2-10 or equivalent, sprinkler system, upgraded flooring throughout, private yard setting. 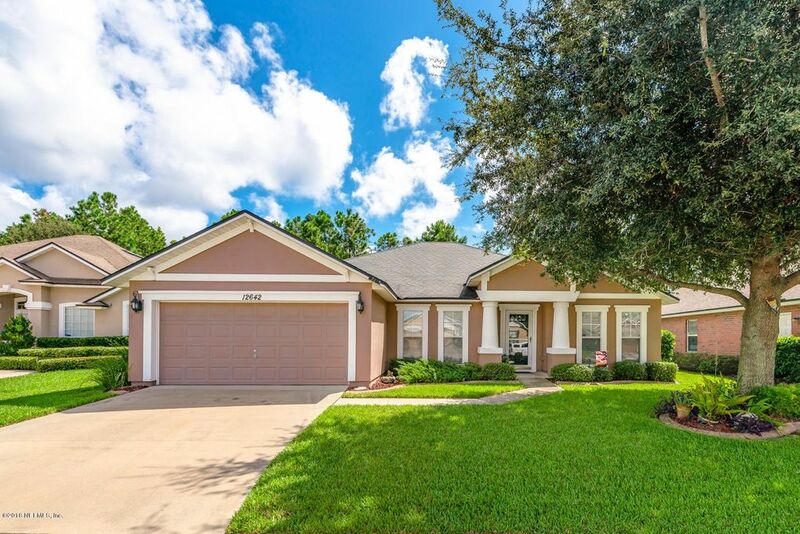 Centrally located to shopping, dining, retail, JIA, downtown, schools, NS Mayport & beaches!Community has kids playground, comm pool (which you won't need!) and workout area. Sellers are removing water softener and propane gas tank prior to closing (both leased). Sellers are closing on new construction 12/20 so possession until Dec 22, 2018 - would like to close and do a short rent back vs a simultaneous close. A chance for Buyer to make some $$! Directions: From Atlantic Blvd, head north on Kernan Blvd. t/r onto Abess Blvd, t/l on Key West Dr, (Summerbrook Subd entrance), t/r on Tropic Dr E, follow past comm pool, house on the right.